Sergeant Detective D. D. Warren confronts the strangest case of her career in this exclusive eBook short story by #1 New York Times bestselling author Lisa Gardner. A USA Today and Wall Street Journal Bestseller! D. D. Warren was pretty sure she'd seen it all. Then a man walks into police headquarters, attempting desperately to convince the squad that he's dead. Explaining to him that he's very much alive, they finally send him on his way...and then hours later, he turns up actually dead. And it's on D. D. Warren to figure out how and why the dead man died...twice. 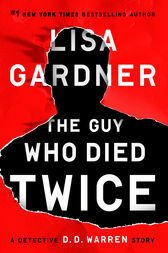 Lisa Gardner is the #1 New York Times bestselling author of twenty suspense novels, including The Neighbor, which won Thriller of the Year from the International Thriller Writers. An avid hiker, traveler, and cribbage player, she lives in the mountains of New Hampshire with her family.